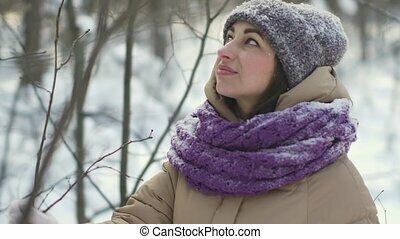 A beautiful woman in white clothes is walking along the street. summer sunny day. 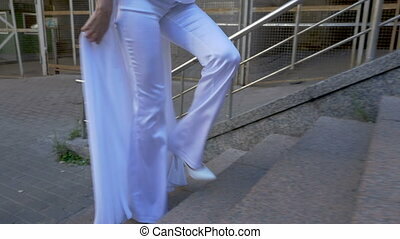 A Beautiful Woman In White Clothes Is Walking Along The Street. 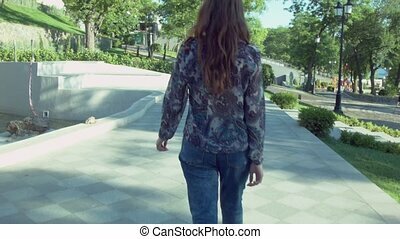 A business woman with smart phone walking in the street. Beautiful face with office fashion. confidence smile and shoes in the city. 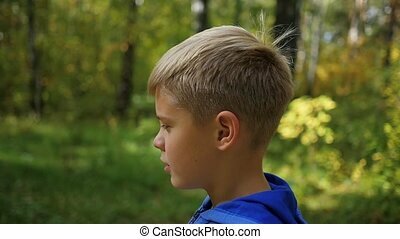 a beautiful child is walking along the alley in the park. 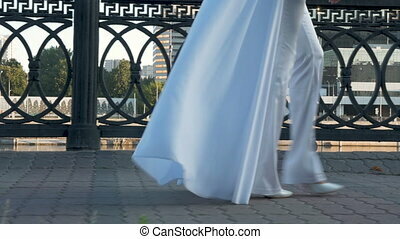 A beautiful woman in white clothes is walking along the street. She is cheerful and happy. Summer sunny day. 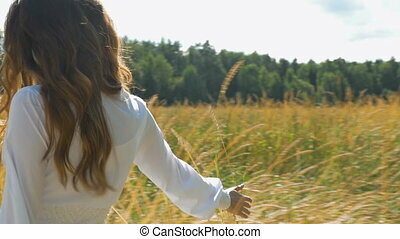 A beautiful girl with long hair in white clothes is walking along the city embankment. Early morning, there are no people, romance. 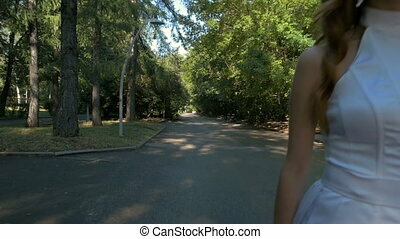 A beautiful girl with long hair in white clothes is walking along the city embankment. Dawn, there are no people. Loneliness and sadness. A young woman in white clothes, walking along the tourist observation platform. Beautiful panorama of the city. Summer sunny day. 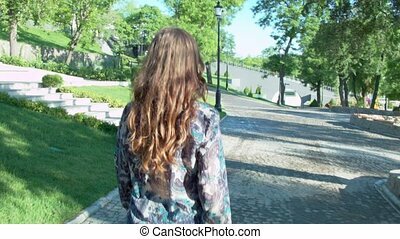 A beautiful girl with long hair in white clothes is walking along the city embankment. Dawn, there are no people. Loneliness and sadness. camera in motion, view from the side. A young woman in a white suit is walking along a path in the park. Slow motion. Early morning, beautiful day. 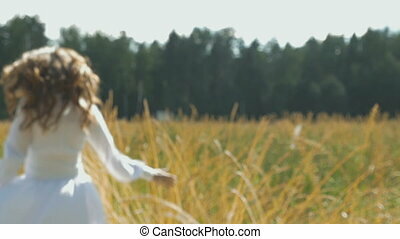 A young woman with long hair in a white dress is walking along the field with wheat. Bright sun, summer day. Back view. 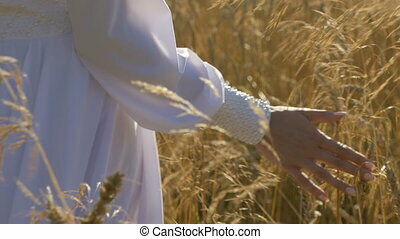 A beautiful girl in a white dress is walking along a field with wheat Excellent mood, love and happiness. 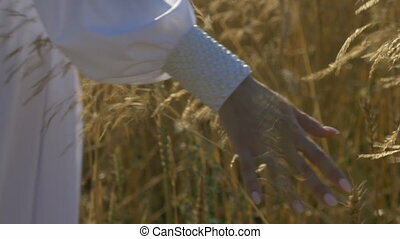 A woman in a white dress is walking along a field with wheat. Slow motion, out of focus. Bright sun, summer day. A beautiful romantic couple on a date. A man gives flowers to his beloved woman. They walk along the paths of the park, gently hold hands. 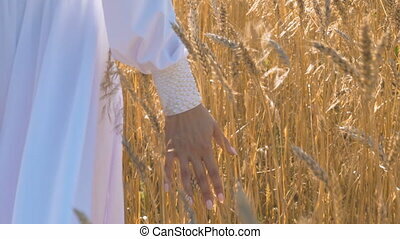 A woman in a white dress is walking along a field with wheat. Slow motion, out of focus. Bright sun, summer day. Back view. 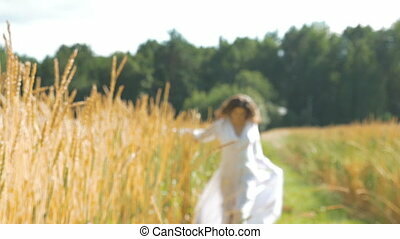 A beautiful girl in a white dress is walking along a field with wheat and singing for joy. Excellent mood, love and happiness. Portrait of a beautiful girl with flowers. Young woman in a beautiful dress walking in the park, with a bouquet of flowers. A bouquet is a gift from a beloved man, a romantic relationship.